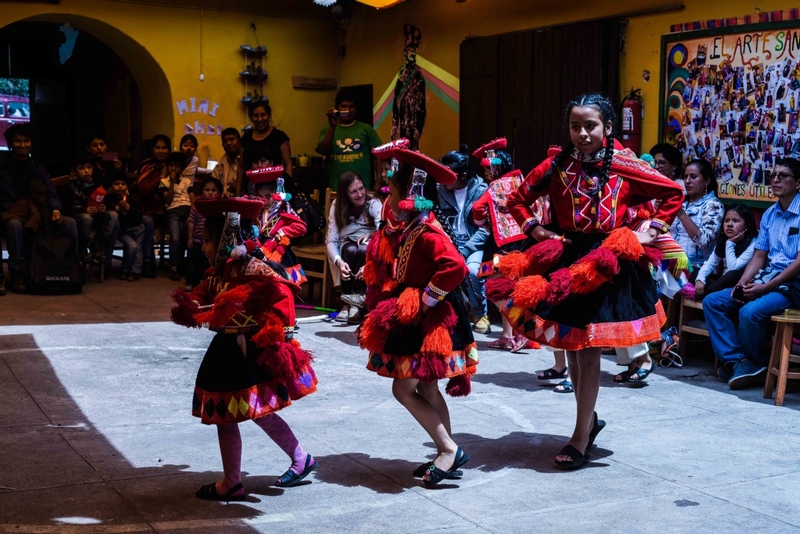 We are an educational organization with intercultural focus, dedicated to providing language courses and organizing arts, cultural and social activities, which serve as a spark for development for the community of the Sacred Valley of the Incas. •	Native or fluent English speakers preferable with basic - intermediate Spanish knowledge. •	No previous experience necessary, only an eagerness to help. •	Good communication and people skills: An enthusiastic, pro-active, fun, hard-working person able and committed to learning and sharing ideas effectively and respectfully with people from different cultural and economic backgrounds. •	A 4.5 -month commitment* 20 hours of intensive training, and 4 months of teaching up to 18 hours a week, mostly adolescents and adults. (no weekends, 4-5 days a week). Possibly 6 hours of children’s classes. •	The volunteer must present 2-3 references and send us a copy of their international medical travel insurance that covers the entire length of their stay. 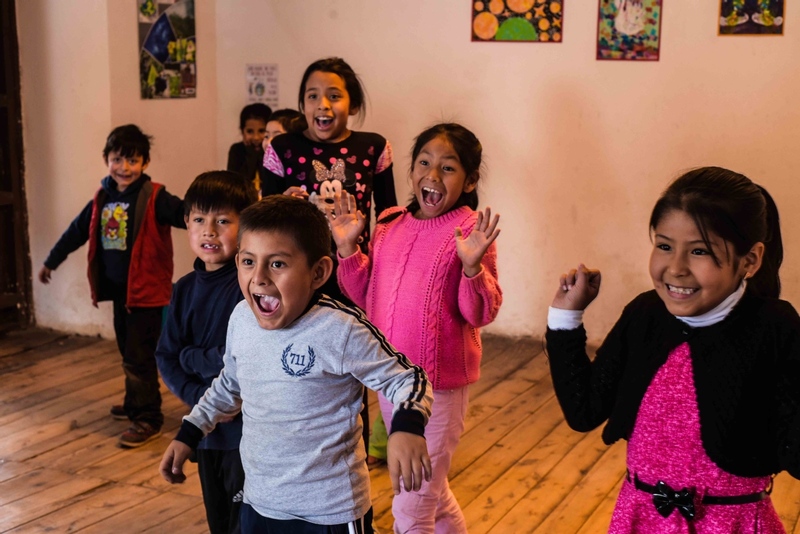 •	In order to support the school, its programs, and towards supporting and creating the best experience for our volunteers the participation fee for the program is US$ 360 per month (around 12$ a day). 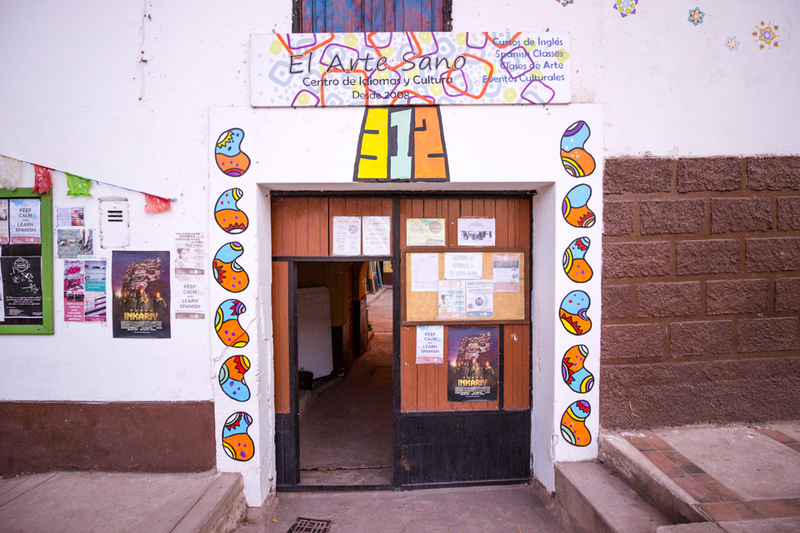 This is approximately the cost of one night in a dorm at any low budget hostel here in the Sacred Valley. 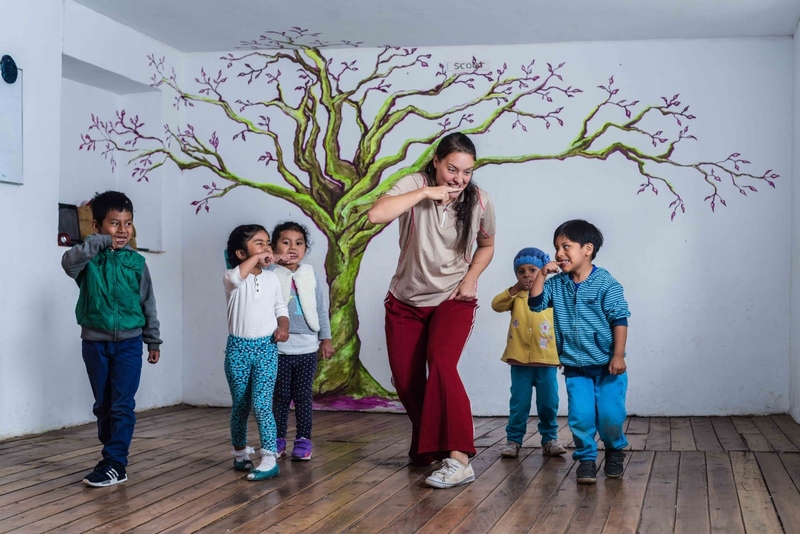 •	If the volunteer has any additional art skills they can also offer art workshops for the community. * Shorter periods are sometimes available depending on the skills of the candidate and work available. 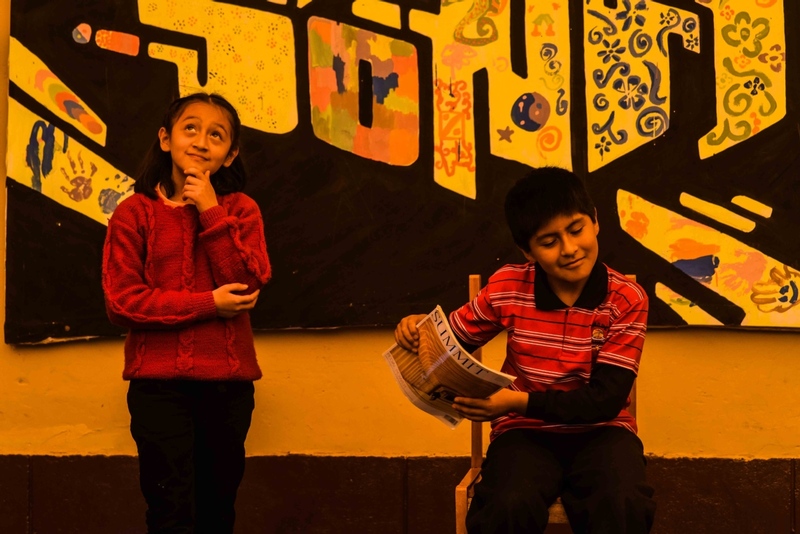 It can be possible to design a traineeship that works for both the volunteer and the school. From July/August to December 2017. Shorter periods are sometimes available depending on the skills of the candidate and work available. It can be possible to design a traineeship that works for both the volunteer and the school. 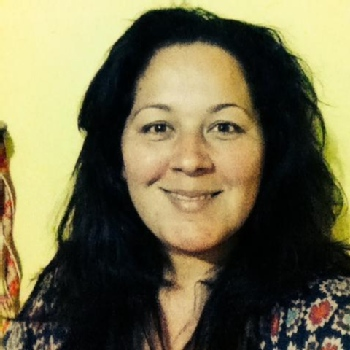 •	TEFL-style teacher training – 20 hours of intensive training plus four months’ teaching experience. •	Ongoing support and monitoring once you begin teaching. 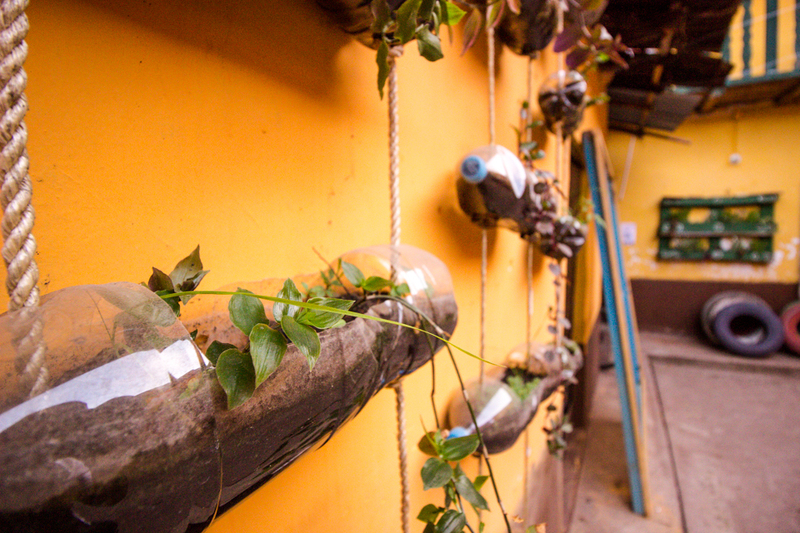 •	Accommodation in your own room in a house exclusive to our volunteers and close to the school. 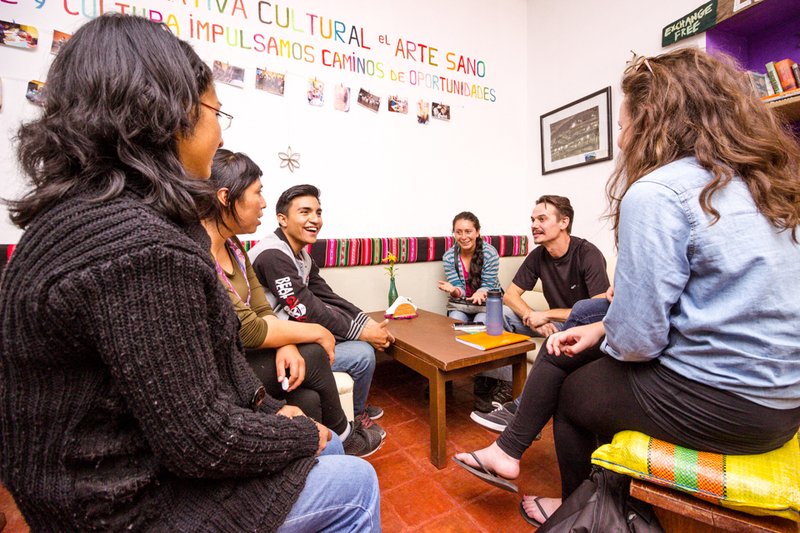 •	Spanish Classes 16 hours/month plus the opportunity to be paired with a local Spanish speaker for language exchange. •	A reference letter for future employers. 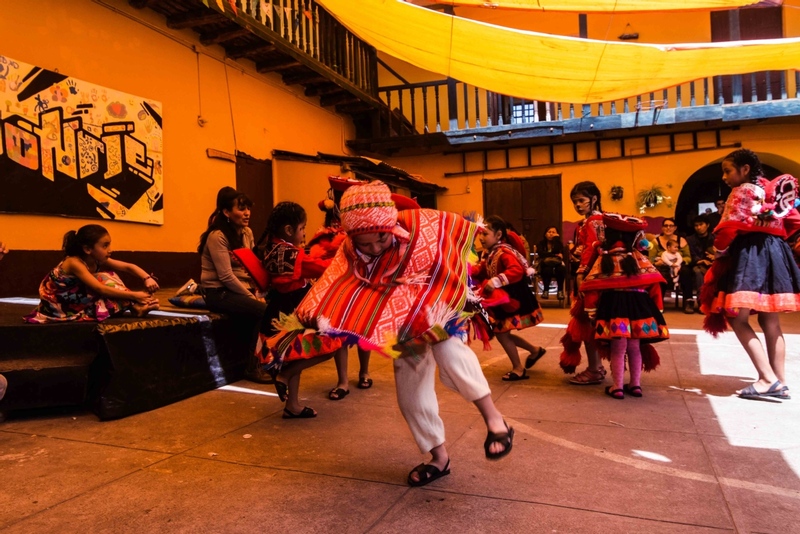 •	1 leisure activity a month like a tour to popular Incan sites in Cusco, the Sacred Valley and surroundings. Peruvian cooking experiences. Entry to Machu Picchu. And much more! 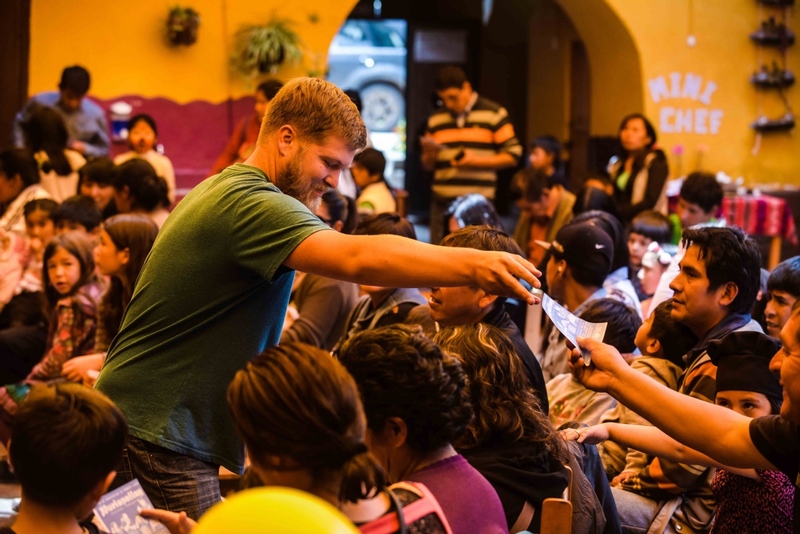 In order to support the school, its programs, and towards supporting and creating the best experience for our volunteers the participation fee for the program is US$ 360 per month (around 12$ a day). This is approximately the cost of one night in a dorm at any low budget hostel here in the Sacred Valley. Av. Berriozabal #312 Urubamba, Cusco, Urubamba, Cusco, Peru. We are open to donations of materials: english books, flashcards, BOARD MARKERS, art supplies, children’s story books, or level books that people are happy to donate, we would be happy to have them! Thank you! 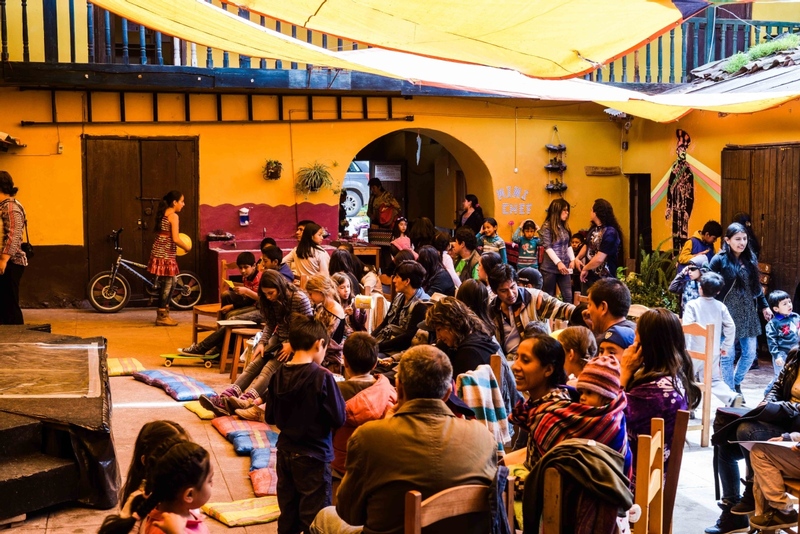 Our aim for EL ARTE SANO URUBAMBA is to continue growing as a place where cultures meet, being self-sustaining, accessible, open, lively, dynamic and participatory: a hub for encounters, where educational, arts and cultural activities take place at a low cost or free, open to all those people interested. 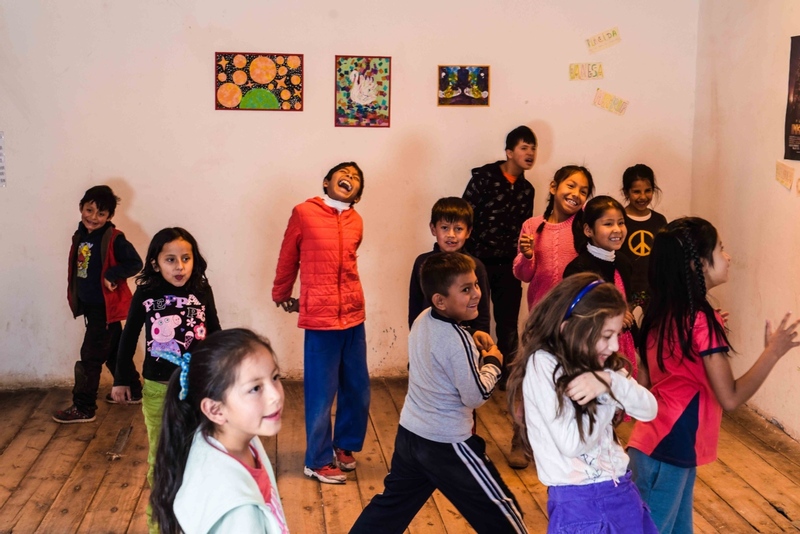 Solidarity, love, peace, sustainability, empowerment, respect, personal and collective growth, equality, inclusion, tolerance, non-discrimination and participation, and we aim to promote these in our community, since we believe that they are the pillars of the quality of life for human beings. 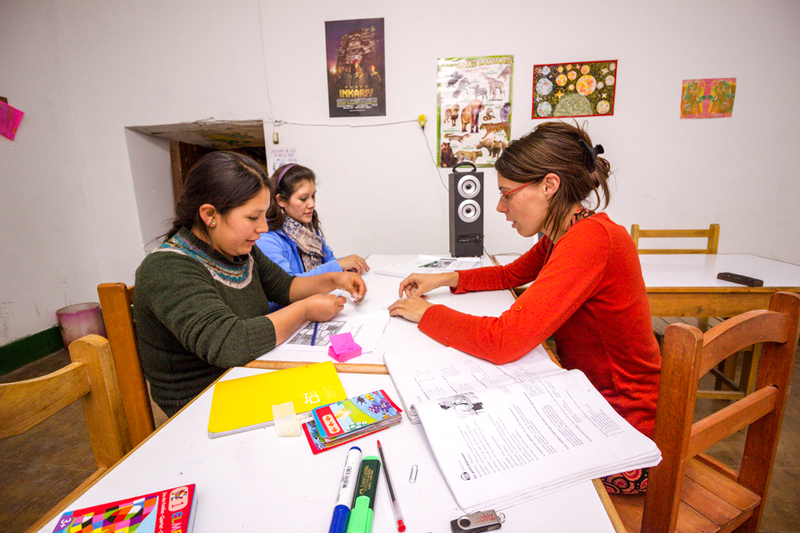 •	We offer English courses, Spanish for foreigners, French, as well as promote the main local language of Quechua. The courses are open to children, young people and adults. •	We also offer ‘English for tourism’ courses inside some of the most important hotels and restaurants of the area. 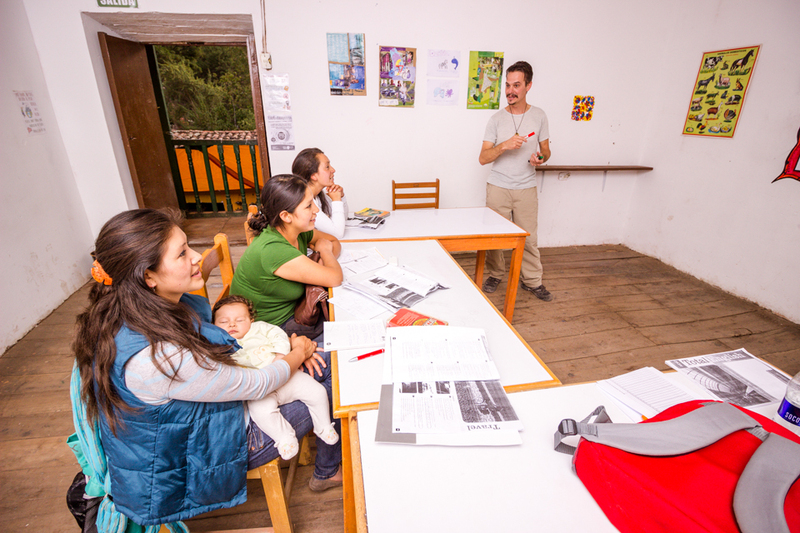 •	The language courses are taught by teachers and volunteers who are native English speakers. 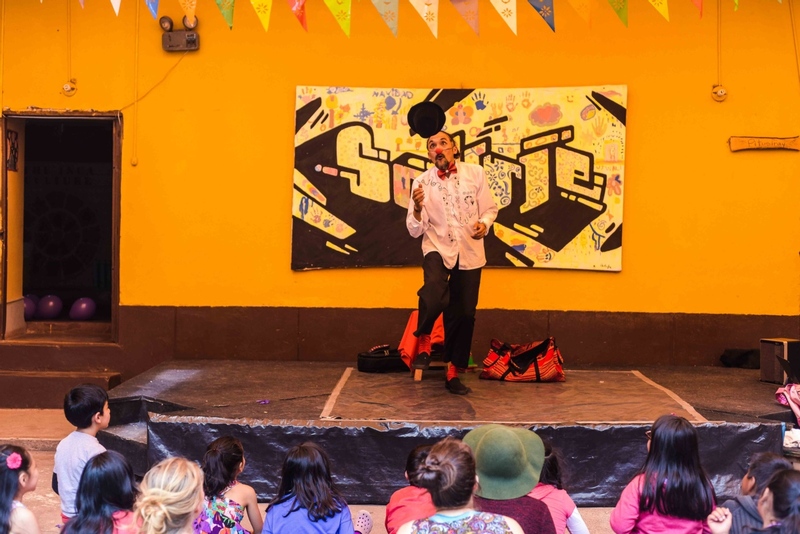 We offer cultural and arts activities are for children, young people as well as adults. 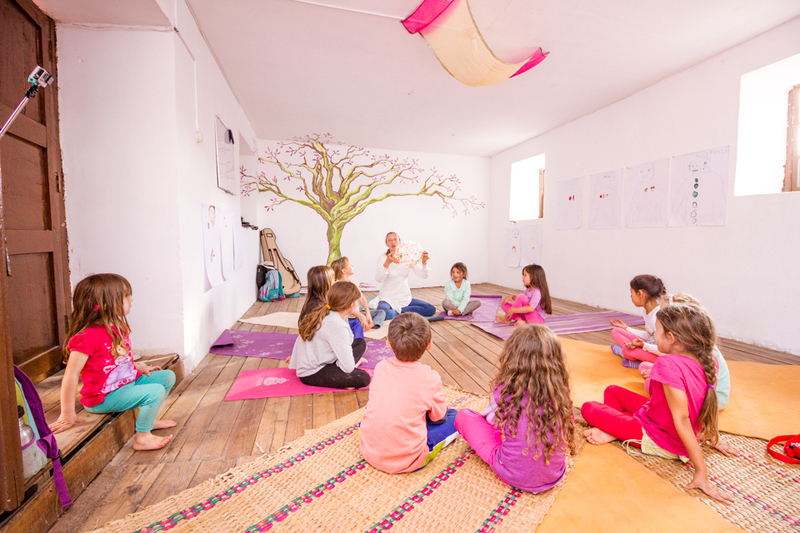 •	Holistic and reflective workshops (Yoga, Reiki, amongst others). •	Library: We have growing selection of interesting books in English, Spanish and other languages, which are available for our students, teachers and other collaborators. Our medium-term plan is to start sharing them with the wider community.  •	Thrift shop, consisting of clothes from donations which is offered at very low prices. •	Café: A space inside the school that acts as a meeting place for locals and foreigners. We’ve also been having weekly ‘language interchange’ events here, which is a free activity, open to anyone who is interested. We are planning to have weekly documentary and movie projection nights too. 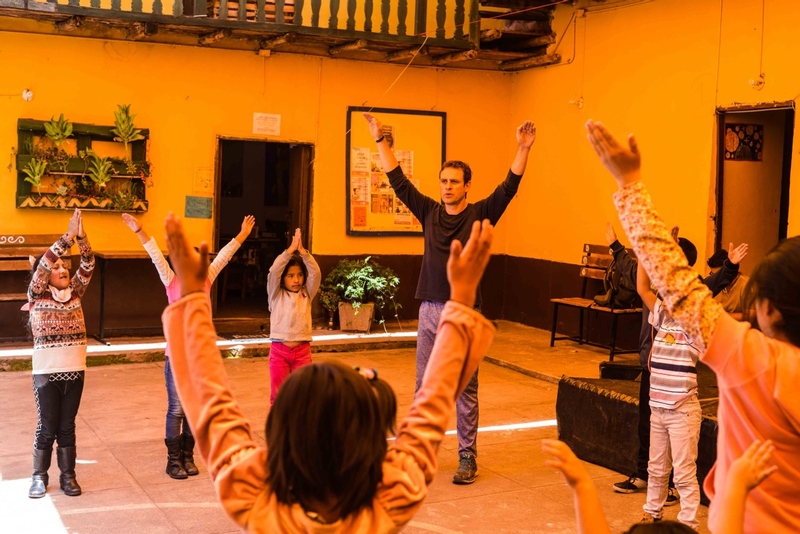 Since 2013 we have been running the ‘Creative Education Project’ at the 711 Primary school in Urubamba, which involves providing a classroom with a theater course. 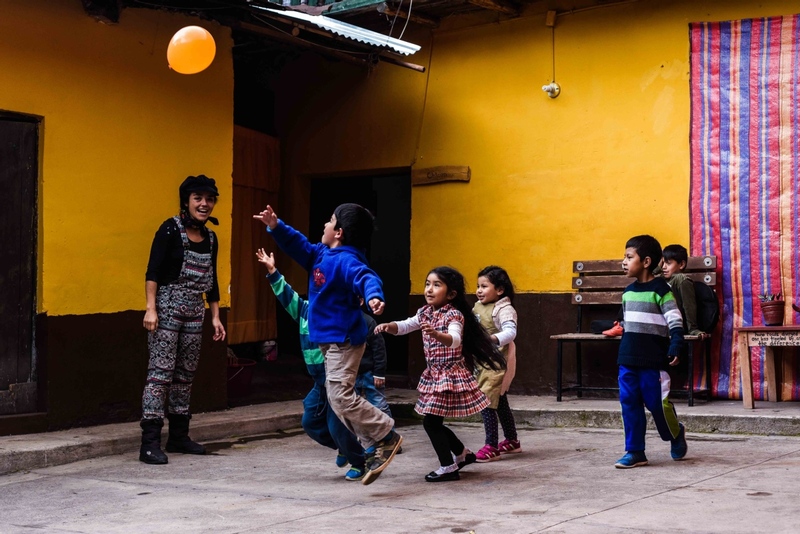 We’re aiming to increase our income to be able to expand this project and include more children. 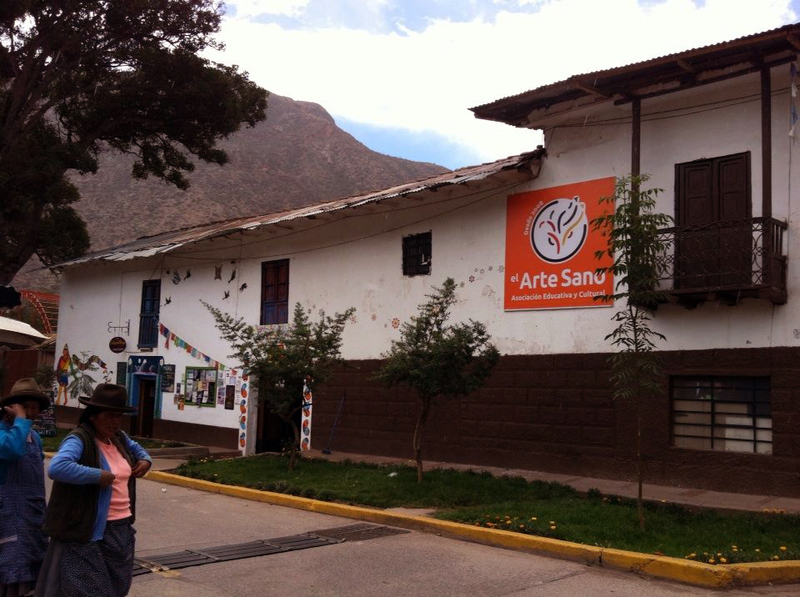 We at El Arte Sano Urubamba would love to hear from you!